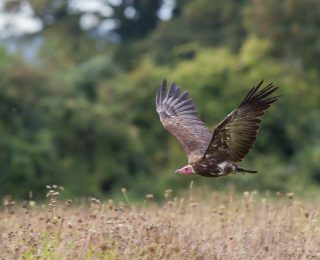 A day at the Hawk Conservancy Trust is a wonderfully interactive learning experience offering pupils the opportunity to be immersed in nature for the day. 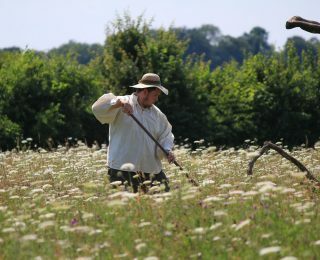 Set in 22 acres of grounds, ranging from beautiful woodlands to our stunning wildflower meadow, we are located just off the A303 near Andover in Hampshire. 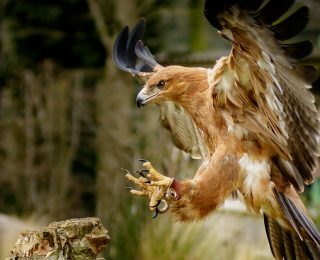 With over 130 birds of prey comprised of around 60 different species – from owls to eagles – there is plenty on view, plus spectacular flying demonstrations and keeper’s talks to keep your school group entertained and occupied. Book your school in for a visit November and March, and receive 25% off the admission price. Objectives: Recognise the nutritional needs of an owl. Develop an understanding of the digestive process and analyse their findings to answer scientific questions about wild predators, their diet and their prey. 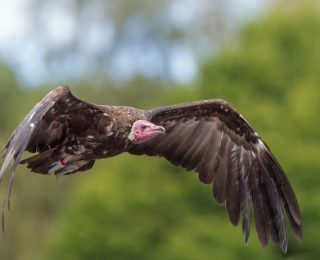 Be prepared to see vultures in a whole different light while learning about the Trust’s worldwide conservation projects. 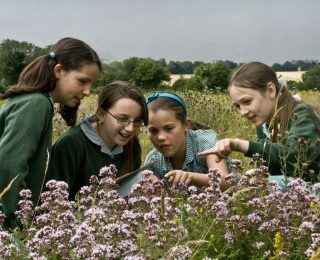 Objectives: Recognise the importance of looking after the natural world and the species in it. Identify threats facing endangered species and explain what being endangered means. Understand the positive and negative human impact on environments as well as the implications of science today and for the future. 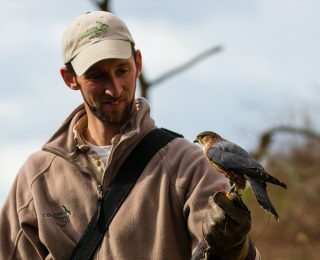 Gain an insight into the fascinating work of the Trust’s National Bird of Prey Hospital™, along with a talk from staff who work in the hospital helping to treat, monitor and rehabilitate wild, injured birds of prey. 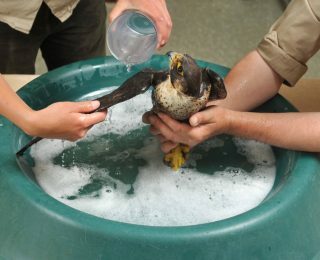 Objectives: Produce a report about the Trust’s National Bird of Prey Hospital™. Prepare a report from information learned through interviewing one of the hospital staff at the Trust. Pupils should be able to highlight important facts in their report. Delve into the world of survival and find out just how amazing nature really is. Objectives: Recognise that birds have different adaptations which aid their survival in the wild. Through observations and gathering information from different sources throughout the visit, pupils will identify key adaptations and their function. 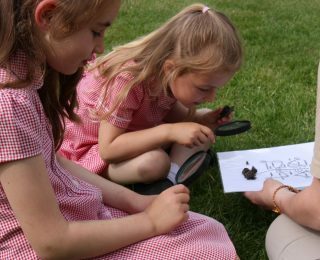 Bring out the inner nature detective to find out what’s really out there! Objectives: Investigate a variety of natural habitats. Observe, identify and record a variety of species using ID sheets. Discuss life cycles within these habitats (including micro habitats) and identify how living things depend on each other. Demonstrate awareness to the needs of animals, making sure animals are returned safely to their environment after study. Turn your pupils into budding young reporters! Objectives: As a group, interview a professional in an unusual profession. Ask relevant questions, take notes and gather information to enable writing a report about what has been learnt. Prepare ideas and questions before the interview. 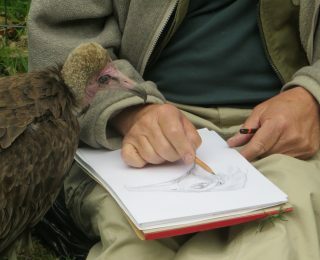 Inspire artistic imagination and creativity with the challenge of drawing a real, live bird of prey posing in natural surroundings right in front of your eyes! Objectives: Produce creative work through observational drawing. Develop basic artistic techniques and use creative flair to interpret visual experience. Recognise patterns and colours used in the natural world aiding camouflage. Objectives: Reflecting on their experience at the Trust to compose a poem or piece of creative writing using descriptive words, feelings, emotions and facts learned during their visit. Acquiring a wider vocabulary, using discussion and creative writing to explore expressing opinions, thoughts and feelings. Objectives: Perform as part of a medieval cast to demonstrate how man working with nature was a way of life and how certain skills or traditions could indicate a place in society. Recognise how traditions have evolved with time and identify similarities in today’s world through links to practices in our past. Discuss and identify the origins of expressions used in our language today from historical traditions. Workshops are run for a minimum of 12 pupils. One adult is admitted free of charge for every seven pupils for school bookings of Year 2 and older. One adult is admitted free of charge for every five pupils for school bookings of Reception and Year 1 pupils. All school visit bookings which include a workshop are required to pay a non-refundable deposit of £75 to secure it. The Trust reserves the right to cancel a booking and return any deposit funds received, if necessary.